If your company has been recently robbed or burgled, then you might be wondering what steps you should take, as well as what you can do to try and prevent similar situations from occurring in the future. Although it can be hard to deal with a robbery, hopefully this guide will help you to get a hold of this situation, so that you can move forward with confidence in your security methods. With that in mind, here’s a look at several ways to handle a security issue at your company. After a robbery has taken place, you should consider investing in some kind of physical deterrent. While a physical deterrent like barbed wire may not scare off all robbers, especially if you have other security issues to deal with, it can at least disincentivize most people that are simply looking for a quick payoff. 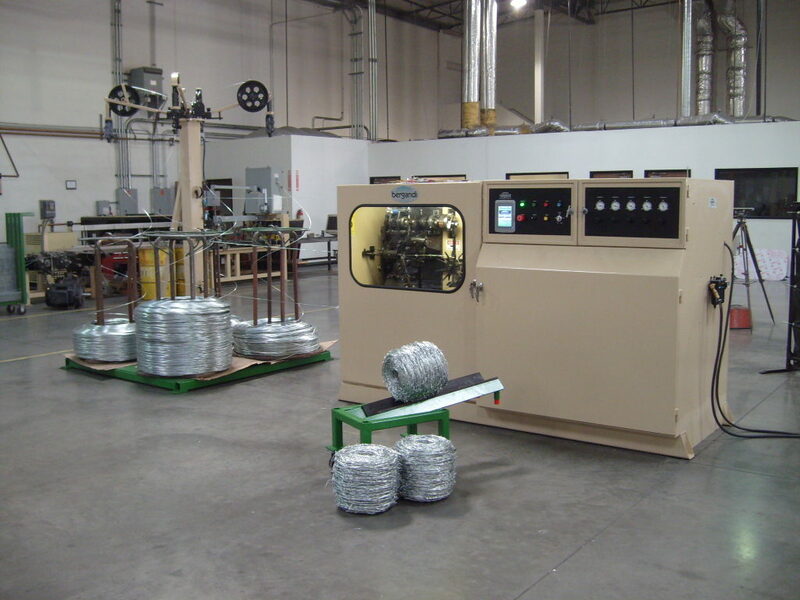 For larger businesses that operate multiple warehouses, a barbed wire machine may be a useful means of protecting your interests with a longer term investment. Sometimes an issue at a company arises out of negligence more than anything else. If your employees have begun to slack off on their responsibilities, then this can have a ripple effect throughout the business as a whole, and can have a serious impact on its security. In order to avoid these issues from developing in the first place, it’s worth developing an in-house security procedure that employees are well versed in. Then, when something happens, you’ll be able to review the process and pinpoint which area needs to be worked on again. Aside from physical deterrents, digital tools like security cameras can be useful for tracking down any perpetrators involved in an issue. In addition, these types of tools are often accessible from mobile devices and laptops, making them especially worthwhile for any business owner who is regularly away from the warehouse. While it’s impossible to guarantee the safety of your business, these tips can hopefully make your business as secure as possible, so that you can rest easy knowing it’s in good hands. With the right deterrents in place, and the right attention to detail, you can protect your company’s assets without making the business uncomfortable for employees. Balancing security with freedom is always difficult, but hopefully these tools will allow you to find the right balance for your specific needs. This entry was posted in Safety tips, Technology and tagged company security tips on October 10, 2017 by Yami.